A delicious Greek classic, with an update. Not only is lamb hard to find in your local grocery store, but it can be a bit pricey. If you love the flavors of Gyro but want an alternative, thin cut sirloin is a great substitute. Cut Sirloin Steak slightly into thin strips, going against the meat grain. Dice onion, dice tomato, finely chop cucumber, crush garlic. Stir ingredients together. In a gallon ziplock bag mix marinade: ½ cup greek yogurt, lemon juice, 2 cloves garlic, 1 Tbsp. oregano, salt and pepper, and steaks strips well, seal bag leave to marinate overnight. In a air tight container mix Tzatziki sauce: 1 cup Greek yogurt, 1 Tbsp. oregano, 2 Tbsp. garlic, salt and pepper. In another small bag or bowl store your tomatoes and onions. I recommend eating this no longer than the day after you prep it. The day of will prove to be more fresh. To cook: sauté sirloin and sauce marinade in a large saucepan over medium high heat to desired done-ness. 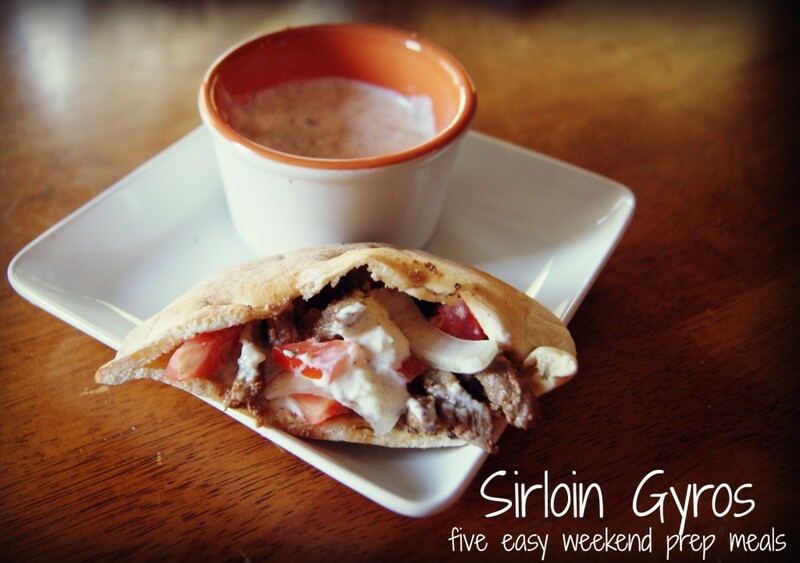 Assemble sirloin steak, tomatoes, and onions in pita bread, top with Tzatziki sauce and enjoy! Serve with chips, fries, or a yummy Greek potato salad.